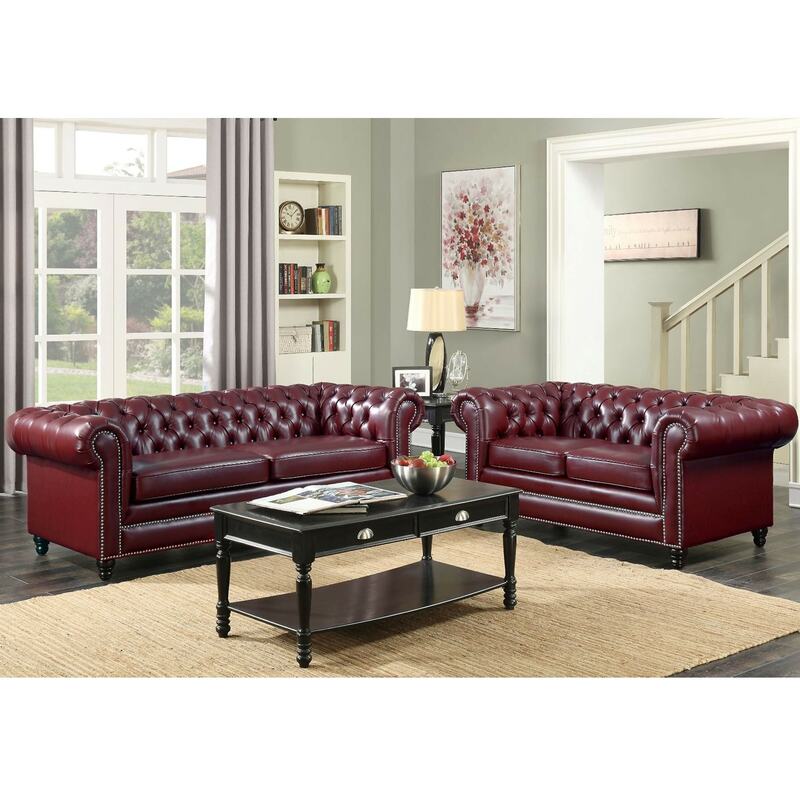 Introducing the newest addition to our sofa range this beautiful Faux Leather Chesterfield sofa in a Blood red colour. This is the perfect addition to add to any room in your home for a modern and stylish feel. Complete in a blood red colour and made from faux leather this sofa is 3 seated and has wooden legs. Hand crafted by the highest quality to make sure they last a lifetime.